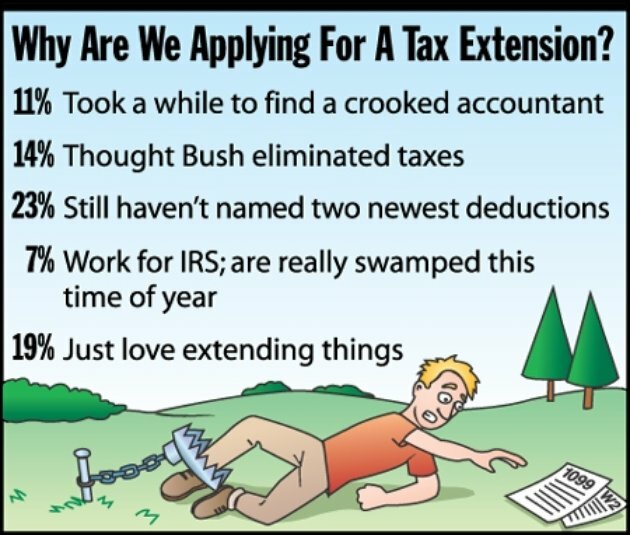 Since most of our clients file extensions for their 1040s, the weeks before the six month automatic extensions expire on October 15 are always much busier for us than the weeks before April 15 because most of these returns are extremely complicated. 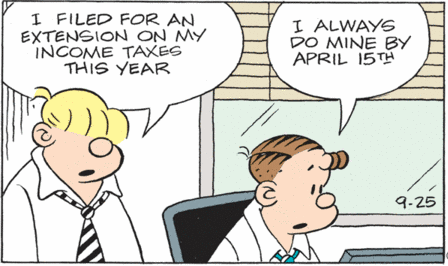 With many of IRS’s employees on furlough (aka paid vacation), they announced that the October 15 deadline for 2012 1040s will still be next Tuesday. Interestingly, the IRS website is still functioning, contrary to those of many other government agencies, which have been shut down as part of the BHO Regime’s attempt to inconvenience as many people as possible, while still preserving funds for their royal lifestyle. Why are US gov’t websites offline? For those of us with a lot of extensions, the month before October 15 is busier than April 15. IRS has posted a new draft of the revised Form 7004 for business tax returns. The biggest change is the inclusion of both a five month and a six month extension to reflect the new shorter time that will be allowed for some 2008 tax returns, including partnerships (1065) and trusts (1041). 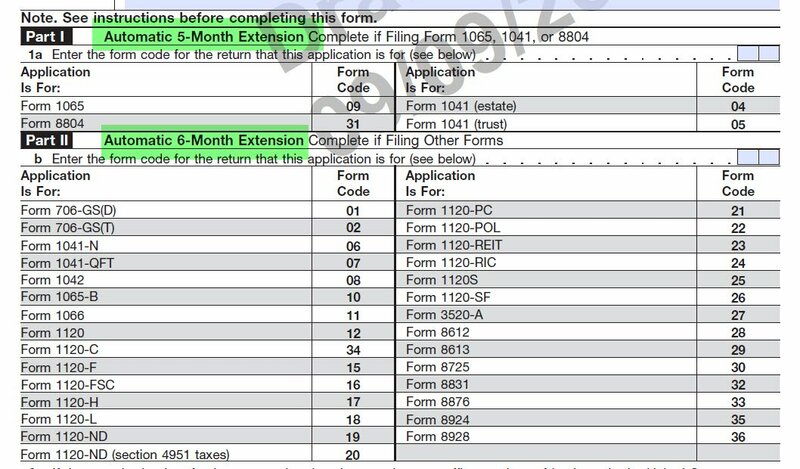 Filing Extensions Changing for Some Business Taxpayers Later this Year – Supposedly to give a longer time between the extended due dates for some types of K-1 pass-through entities and the related 1040s, the automatic extensions for 1065s and 1041s will only be for five months for those entities with a tax year ending after 9/30/08. For calendar year returns, this moves the extended due dates up to September 15, giving a full month before the October 15 extended due dates for 1040s. 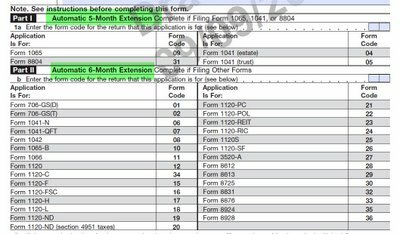 Since S corps have an original due date of March 15, the current six month automatic extension already puts those returns due by September 15; so no change is required for S corps.